Walking down and enjoying the many colorful murals of the lively Boulevard Saint Laurent, I couldn’t imagine a better city than Montreal to host the inaugural World Design Summit. The entire trip was serendipitous, playing host to several happy coincidences. Montreal, the UNESCO City of Design, was also celebrating its 375th birthday that year. The World Design Summit was ambitious in its aims, involving six disciplines of design: architecture, landscape architecture, urban planning, graphic design, interior design and industrial design. It aspired to bring professionals, government officials and business leaders from all over the world to bring down their barriers and unite towards the common goal of how to use design to make a better future. 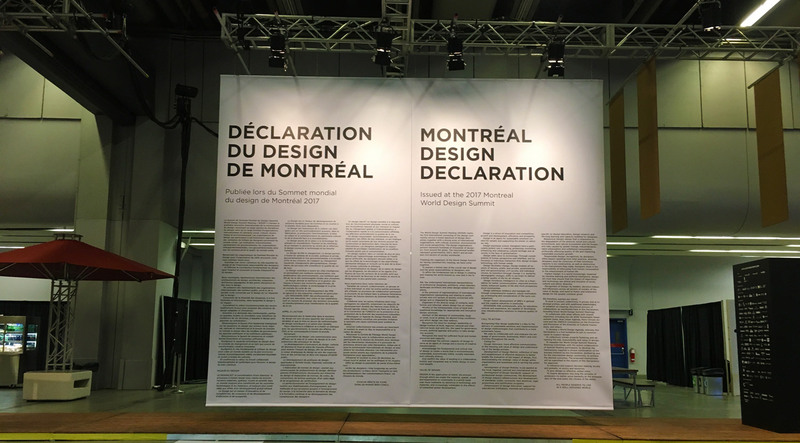 The climax of the event was the signing of the Montreal Design Declaration which outlines concrete steps for designers to use as a resource for their own planning. Read the Design Declaration here In this journal entry, I reflect on my favourite talks of the summit and my reflections about the philosophy of design as framed by Henk Oosterling’s Dasein as Design. The aforementioned work asks what is the use of design today? The role of design has changed dramatically over the past two centuries. Endless debates about the overlap of design with art and the social responsibility of designers have occurred. Dasein, as being-in-the-world is transforming as being-in-the-media. The media society is the new space in which we act, where Dasein is becoming design. Dasein is when we make decisions about form in order to liberate ourselves from the randomness of life. In other words, Dasein is making order out of chaos, which is the act of designing. Oosterling calls for a new form of design to emerge, relational design, which focuses more on relationships and responsibilities versus the individual. Oosterling’s relational design ideology can be seen being manifested more and more in the fields of urban planning and architecture. 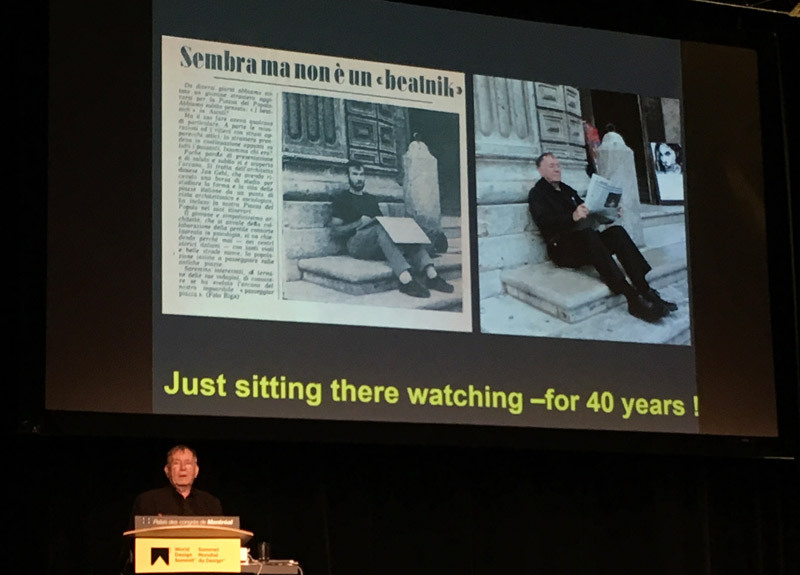 It could be seen most strongly in my personal favorite talk of the whole summit delivered by Jan Gehl, the Danish architect. During his talk, he was self-effacing and humorous despite the magnitude of his accomplishments. He compared his approach to design as more “street level” than “bird’s eye view”. According to him, other cities are still stuck in the modernist view, where gigantic skyscrapers and roads built for cars are the main priority. In the 1960s, modernism was the dominant paradigm for planning. The focus was on spaces. The city plan scale was well organized but the people scale was completely neglected. Modernism said goodbye to human scale and hello to “carinvasion”. 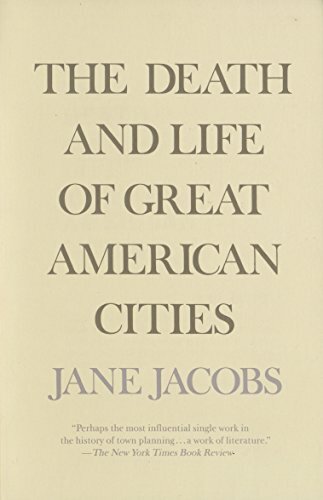 The Death and Life of Great American Cities, a book by Jane Jacobs, had inspired him the most. 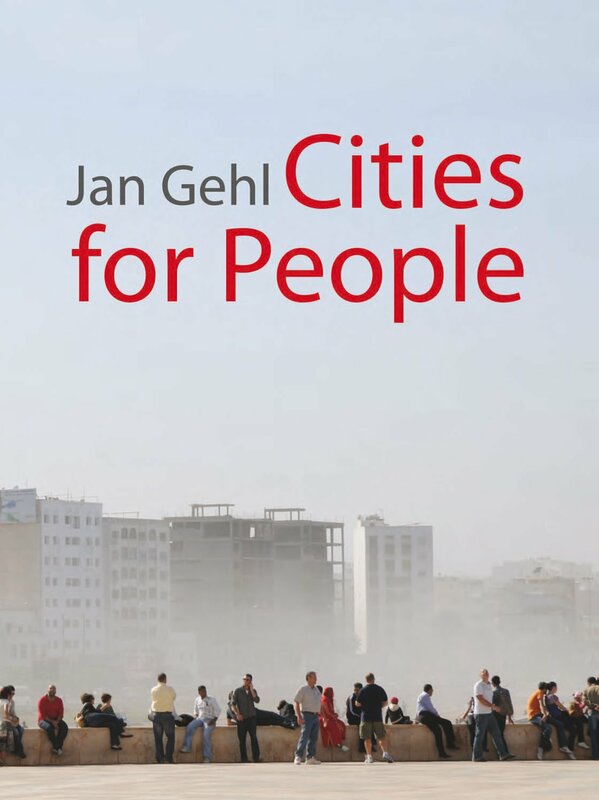 Jacobs writes “Cities have the capability of providing something for everybody, only because, and only when, they are created by everybody.” With this philosophy, Gehl wanted to bridge the big gap between the social sciences and architecture by observing urban life for 40 years. His efforts have generated a framework for design involving 3 layers: Protection, Comfort and Enjoyment. He also said that the 21st century requires a new paradigm which calls for a lively, liveable, healthy and sustainable city. One of the biggest problems we currently face is obesity caused by our “sitting problem”. To solve this, he designed urban interventions that transformed his home city, Copenhagen, into a more pedestrian and biking friendly environment. According to public life surveys carried out, Copenhagen was the most liveable city in 2013 (dethroned by Melbourne later on). 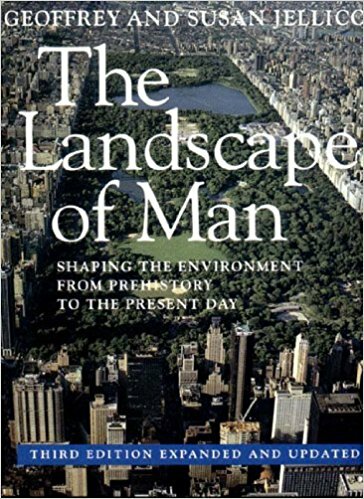 In contrast to Jan Gehl who discussed cities in a human level, Pedro Ortiz looked at the bigger picture. Ortiz has a lot of experience with cities, one of his previous positions includes being the deputy mayor of Madrid. He argues that the uncontrolled growth of urban areas is due to the face that we only have urban knowledge which deals with a 1:5000 scale. The metropolitan scale of 1:50000, which is ten times bigger, calls for a new approach. 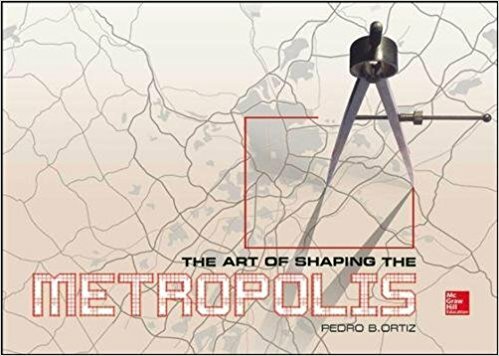 The Art of Shaping the Metropolis He compares the multidimensional framework of urban areas, which includes the physical, economic, social and institutional infrastructures, to DNA. The DNA of the metropolis is different from that of cities. Therefore, metropolitan design is the emerging discipline that is responding to this urban explosive growth. He shared with us the concept of Urban Acupuncture where a specific point in the metro-matrix map is strategically handled. He also gave us the egg metaphor for the metropolis: it’s not always scrambled, it can be poached, or served sunny side up, or as a croque monsieur. I like to look at the two different approaches of Gehl and Ortiz, not as in opposition but as two complementary processes that can both work together as even more people move to cities. 54% of the world’s population currently lives in urban areas and is expected to increase to 66% by 2050 as estimated by the United Nations. 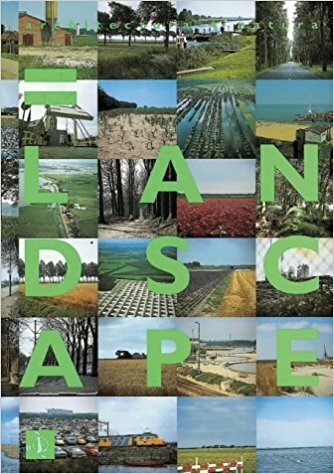 Dirk Sijmons, after being presented with the Jellicoe Award for landscape architecture, humbly showcased his life’s work, one of which is developing the farms of the Netherlands. 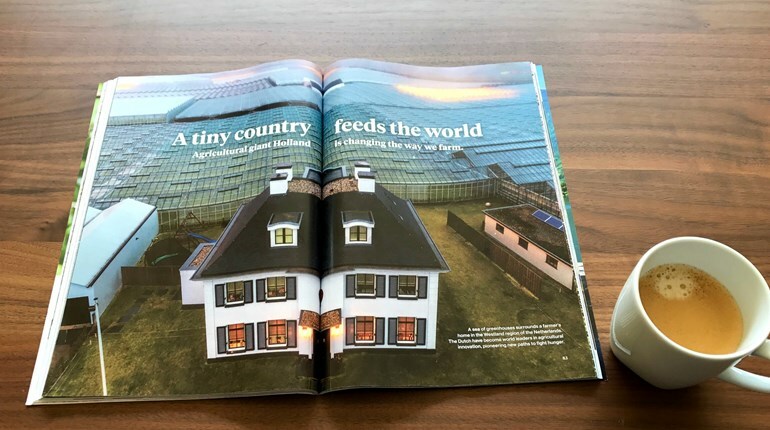 You may have recently seen an article on the National Geographic about the “tiny country feeding the world”. That is thanks to him and his team, who he graciously credits in movie style, further emphasizing the importance of collaboration in design. Speaking of designing for unprecedented scales, is designing the entire world the ultimate gesamtkunstwerk? The German word can be roughly translated as a total work of art. “After all, the loftiest thing design is capable of doing is creating a new world,” according to Oosterling. My next favourite speaker, Alex McDowell, presented his design process of world building through storytelling. Through his beautiful animated slides, McDowell illustrated how fictional futures can shape reality. I had just written an essay for school on how reality is mimicking fiction (post coming soon) so this talk was rather timely. It’s poetic how I go back full circle to my first love, film, which is the reason that I became a designer in the first place. McDowell designed the sets and props of Minority Report, whose images are frequently used in tech conference slides. The blue tinged view of the future has indeed influenced many user interface designers online. He imagines a world, not existing in a vacuum but within a certain context. He creates them as holistic systems with their own politics and culture. 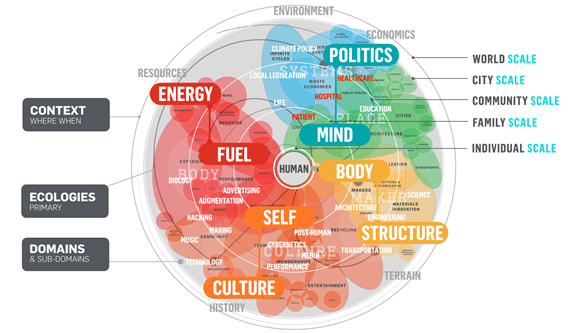 These frameworks are used by students in his World Building class at USC where projects like an augmented reality whale and Rilao, an island that combines Rio and Los Angeles, have been developed. 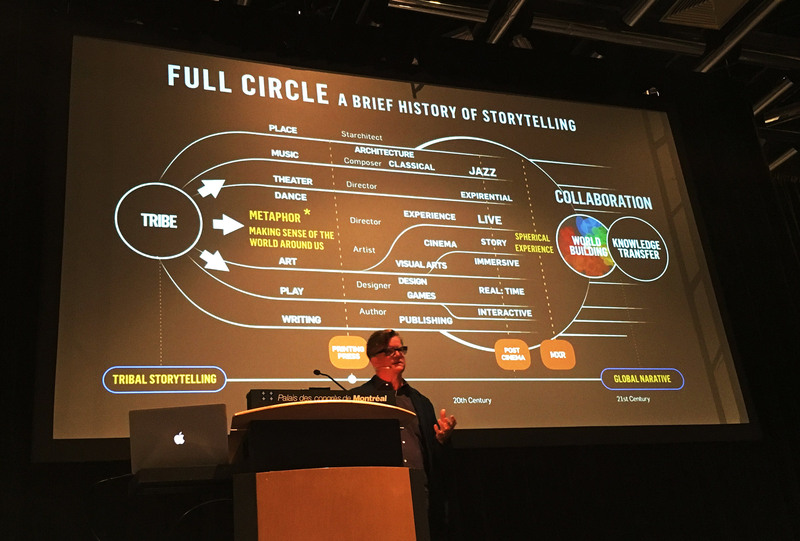 His storytelling narrative branches out to collaboration. McDowell also said that “New systems transform our narratives from an author-directed control of the viewer’s gaze into a collaboration between the designers of the world, its inhabitants, and the human lens.” This again echoes Oosterling’s thesis of design as relational (work of designer, team, crew, actors) versus individualistic (the tyrant director). Interdisciplinary experiments can endure far longer than the totalitarian project as gesamtkunstwerk. Stay tuned for the next part of this blog entry next week!